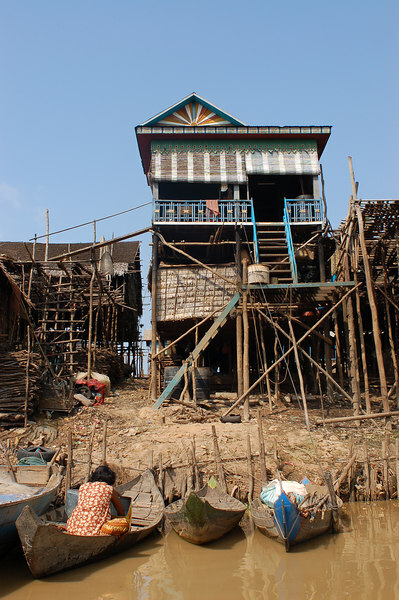 Kompong Phhlux is a small fishing village close to Siam Reap. It is famous for its mystical looking forest, petrified by the rise of water during the rainy season and its incredible stilt houses built to keep dry even when the water rises several meters. Colorful house on the river.